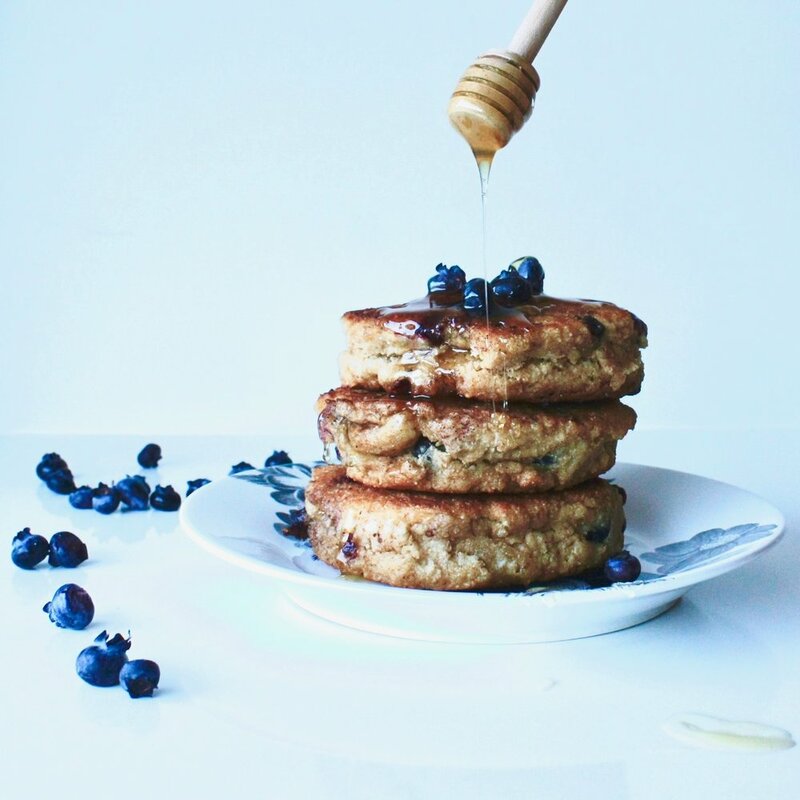 RECIPE: Quinoa and blueberry pancakes - makes 10 approx. 1. Combine all the ingredients together except the blueberries. Once mix is combined then gently fold in 2/3 of the blueberries. 2. Get a large frypan and put on medium heat. Add coconut oil to frypan and once melted add pancake mixture with a large spoon. 3. Serve with leftover fresh blueberries and honey.